With principal photography now underway (as evidenced by that recent set video, not to mention our first look at Joaquin Phoenix in the role), expect updates regarding the Joker origin movie to ramp up in the foreseeable future. And, to prove we’re not “joking” around – sorry, we had to – a few set pics have made their way online today which depict the aforementioned actor looking suitably nuts. 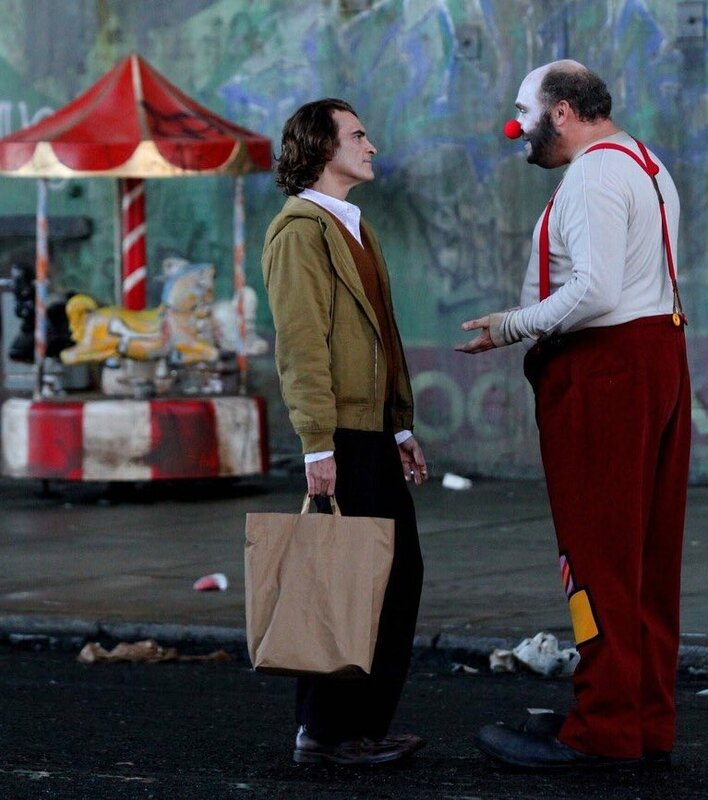 Featured in the gallery below, we see Phoenix’s Clown Prince of Crime in his pre-Joker days, when he was just a failed comedian named Arthur Fleck. 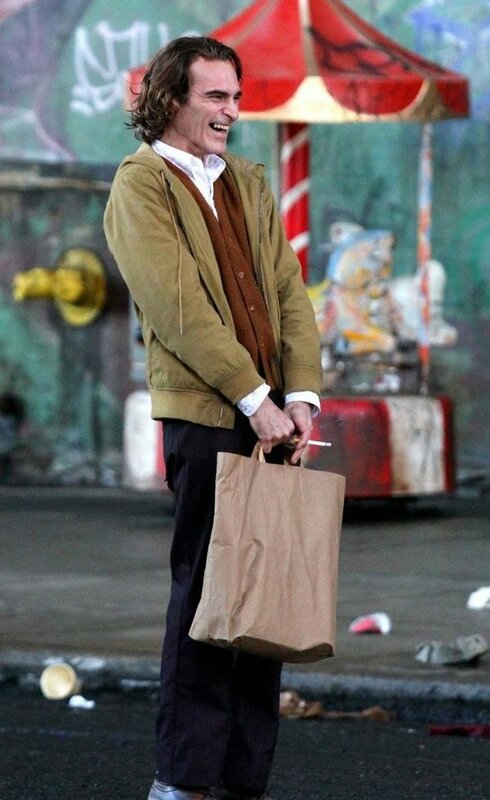 Here, he appears to be on the streets of Gotham, with these snaps presumably taken from the same scene that yesterday’s set video showed us. The context of it’s unknown, but that look Phoenix has on his face in the first photo is enough to send a shiver down your spine. While this isn’t the first time we’ve seen Arthur sans makeup, or even the actor’s devilish smile, we’ve still yet to get a good look at the character in full Joker mode. Nonetheless, the clown element of his arc is already foreshadowed via both the merry-go-round in the background and the red-nosed funny man who confronts him. Plot details still remain hard to come by, but as you surely know by now, this Joker film will exist as its own separate beast, one largely unaffected by the goings-on of the DC Universe (or Worlds of DC, as it’s now being called). That means Jared Leto’s still scheduled to reprise his role as the Clown Prince of Crime in future projects, but at least for now, it’s Joaquin Phoenix and his cackling mega-villain that’s taken precedence. How he’ll stack up to previous Jokers remains to be seen of course, but as Todd Phillips’ origin movie continues to head deeper into production, we’ll surely start to get a better idea of the Academy Award nominee’s take on the iconic villain sooner rather than later.